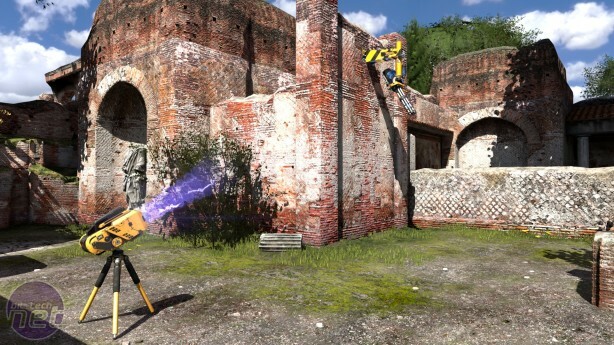 The Talos Principle is quite the departure for developers Croteam, whose list of previous releases almost entirely involve the words "Sam" and "Serious." 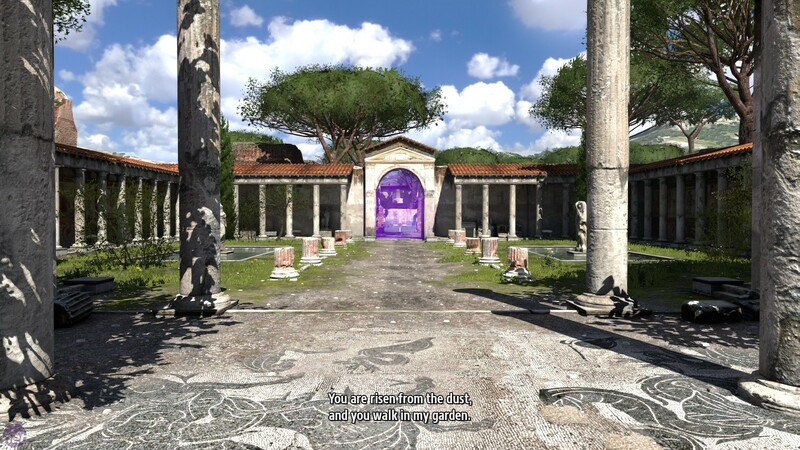 It's a first-person puzzler that challenges the player to solve a large number of little conundrums, while unpicking several grander, less tangible enigmas, such as "what does it mean to be human?" It is attractive, sedate brain food of the most wholesome kind, the gaming equivalent of a tasty granola, or brown toast spread with yummy marmalade. On a completely unrelated topic, I haven't eaten breakfast today. That's still more breakfast than the protagonist of the Talos Principle has ever consumed. You're a robot, see, in what appears to be a kind of robot heaven filled with puzzles, weird mechanical contraptions, and oddly placed computer terminals. Guiding you through this automaton's nirvana is the omnipresent, paternal voice of Elohim, who explains that this world has been created entirely for you to explore and enjoy, but also to demonstrate your worthiness through the tests liberally scattered through the environment. There's only one rule - don't ascend the great big tower that disappears into the clouds and oozes mystery and temptation from its crumbling concrete walls. Croteam use this simple biblical premise to fire you immediately into the game's puzzling. Of course, as things progress, the situation reveals itself to be somewhat more complicated and uncertain. 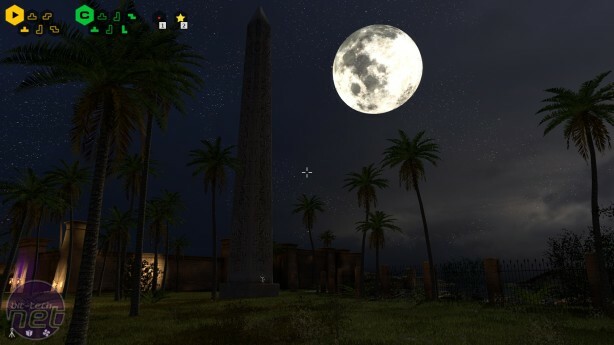 The Talos Principle impresses less in what its puzzles involve and more in how its puzzles are laid out and interconnected. The goal of each puzzle is to pick up a tetromino piece, which are colour coded green, yellow, and red. These colours generally signify the difficulty of each puzzle, but also the function of the tetremino piece. Green pieces are used to unlock new "worlds", yellow to unlock new puzzling tools, and red, well, we'll leave that for you to discover. Each world and tool is unlocked by fitting together specific tetromino shapes, of which there are usually several available at any one time. Thus there's a certain amount of flexibility in which puzzles you need to solve. You could tackle them sequentially, or attempt to unlock all the worlds as quickly as possible. More importantly, it means if you get stuck on a puzzle, you can temporarily abandon it in favour of another, which is a clever way of mitigating the common problem of puzzles directly obstructing a game's narrative. This shouldn't be too much of a problem anyway, certainly not in the early stages. The Talos Principle sports a nice, gentle difficulty curve. You'll likely be blitzing through puzzles in the first few hours, before slowing down later on as the game sets a sterner challenge. This is partly driven by the number of components puzzles utilise. Early on they revolve around a single tool; a jammer which interrupts the signals of obstructive force-fields, gun-turrets and patrolling robot sentries. 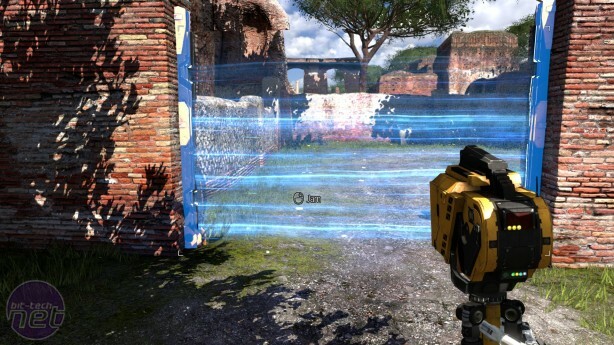 Later on they add lasers which need to be rerouted, and the ability to record your own movements and use that recording as a duplicate of yourself. All of this is smartly implemented and fun to experiment with, although the existence of each tool does feel rather arbitrary and unconnected to everything else. 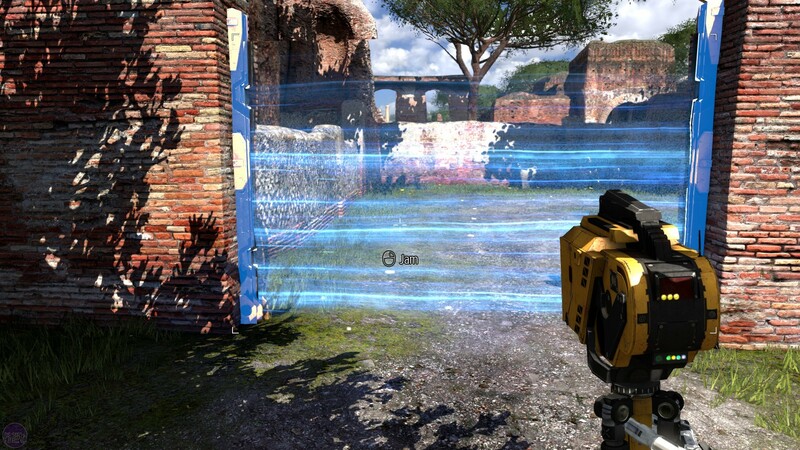 This is symptomatic of a broader problem with The Talos Principle that we'll go into shortly. Rick delves into Subnautica and discovers one of the best survival games in development. Technically stunning and narratively compelling, Ethan Carter is an impressive debut. This visually stunning puzzle game falls just short of greatness due to clumsy writing.